“Brick by Brick: The Erie Canal & the Building Boom” is a contemporary art exhibition inspired by the shared story of the Erie Canal, the Hudson Valley brickyards and the families who built them. The Erie Canal’s enduring influence on NY State is seen in cities and towns all along its corridor: in the now converted warehouses of Red Hook and Rochester, in the townhouses of Manhattan and waterfront buildings of Peekskill, and in historic landmarks like the Oneida Community Mansion House, the Empire State Building and ArtsWestchester’s own headquarters (The People’s Bank & Trust Building.) Brick is ubiquitous in NY, yet the interconnected story of the Erie Canal and the state’s brick industry is little known. This significant infrastructure project brought economic prosperity to every stop along its route, from Buffalo to the Canal’s terminus in Brooklyn, igniting a statewide building boom and a significant brick industry that touched hamlets throughout the state. Bricks moved along the waterways in all directions. The brickyards shaped the economic landscape and built environs of the Hudson Valley. According to historians, the industry was comparable in magnitude and impact to IBM and the nascent biotech companies of today. NY’s brickyards were family-run businesses that employed thousands of workers, including Irish, Slavic and Italian immigrants and resettled African Americans. Many of the factory owners’ and workers’ families still live in the region today. The state’s brick industry faded after WWII, yet its byproducts are still present today in the cultural and physical composition of our towns and cities. Sidewalks, canal stations, municipal buildings, homes of all sizes, public works, factories and storehouses were built with Canal corridor brick. Brick became NY State’s defining and unifying architectural material, and it would not have done so without the Erie Canal. 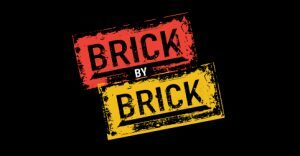 With NYSCA support, ArtsWestchester will exhibit the work of New York State artists inspired by the brick industry alongside historic brick collections, recorded oral histories of brickyard families, and tools representing brick-related occupational arts (i.e., making, building and conservation). Additional support has been provided by Bricklayers and Allied Craftworkers Local 1 NY. ArtsWestchester is collaborating with local historians and community partners, including the Haverstraw Brick Museum and the Haverstraw African American Connection, to develop supporting programs which will make the project’s content accessible and appealing to diverse audiences.